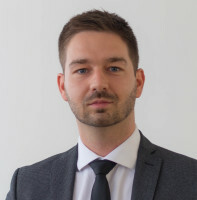 Nikola Kliska has been a member of Zivko Mijatovic & Partners’ (ZMP) legal team for six years. With 10 years’ experience in the commercial and IP law fields, Mr Kliska advises clients on trademark portfolio strategies and cross-border expansion of their trademark rights. Further, he handles anti-counterfeiting work for ZMP’s clients, which include local and multinational corporations. Mr Kliska has extensive litigation experience and advises clients on all aspects of strategic litigation across the Balkans, covering trademarks, unfair competition, industrial designs, patents and copyright. Mr Kliska is often invited to give lectures on practical aspects of IP rights at various forums, such as IP offices, Customs and law schools. He is the author of several articles on inconsistencies in local copyright and procedural laws. His current focus is on raising awareness of the fact that the EU rules on IP rights are directly applicable in Serbia and other countries of the region, under the local laws, even though these countries are not yet EU members. He also focuses on information and communications technology law and is an appointed arbitrator for domain name disputes. Mr Kliska is licensed to practise law in both Serbia and Montenegro. He is a member of INTA, the Serbian Bar Association and the International Bar Association. Mr Kliska is fluent in Serbian and English.